Dance season never ends! 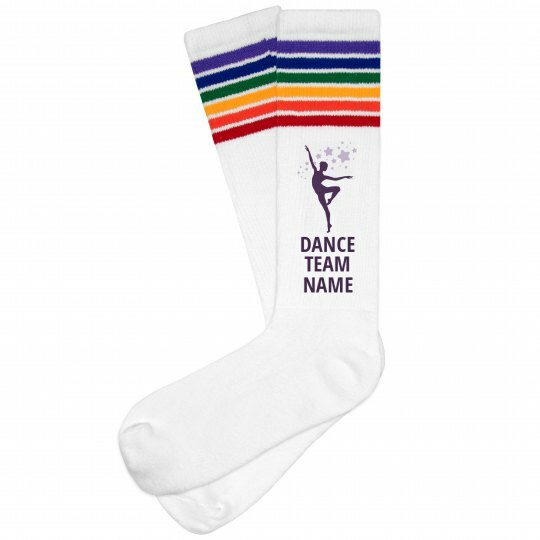 Makes sure you've got a cool, custom pair of knee high striped socks to wear to practice and competitions. Personalize them with your own text - add your studio, team, or school's name.